Enjoy the gift of vibrancy in your wardrobe with this Pretty Print Fine Cotton Casual Tunic for Everyday Wear from the house of Snehal Creations. The fabric of the tunic comes in a multi colored print. With round neck and three quarter sleeves this tunic is sure to tune heads when you wear it. A nice designer taping works as gala Patti. 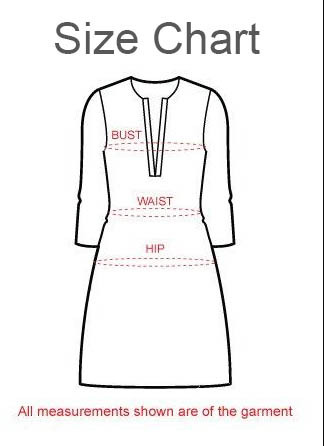 Similar broad taping adorns the base of the tunic and sleeve cuffs.